Links to downloadable application forms to request an authorization: residents, family-related leaves, loading and unloading, etc. Who can apply for authorization? Authorizations to access and drive on streets affected with camera and bollard control system. In the Municipal Ordinance there are multiple cases, and it differenciates between vehicles that could obtain authorization requested by the owner, and vehicles excluded from requesting it, although their number plate must be communicated to include them in a data base, it is difficult to resume this question. Residents (registered) in buildings in restricted access zone. Owners of buildings in restricted access zone. Tenants of buildings in restricted access zone. Owners or tenants of garages in restricted access zone. Resident´s relatives who need assistance because of disease or dependency situation. Reduced mobility people (Disabled people). And the rest of special authorizations detailed in the Access Control Municipal Ordinance. Property or rental housing credentials in restricted area. Property or rental garage credentials in restricted area. Insurance copy that identifies the applicant as a regular driver of the car. Reduced mobility Parking Card copy (Disabled people card copy). Medical Certificate (in case of relatives care living in the restricted area). Any other that you may consider necessary to credit the applicant situation and that the City Council does not have. Residents, lessees, disabled people and family care. VTC (car rental service with driver). Special authorizations for vehicles circulation in restricted areas, driving lessons, width or tonnage limitation circulation, and driving in pedestrian zones. 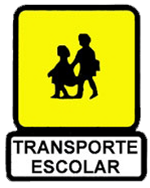 Municipal authorization given to school transports that allow them to circulate through the city and can use some bus stops, usually collective urban passengers bus stops. Buses that circulate only in Granada Area, it is for the service provider hired by the school. In this case, City Council gives the authorization. Buses that circulate in and out Granada Area, it is for the Junta de Andalucia to give authorization, but requires Granada City Council a report about bus itineray in the City area. 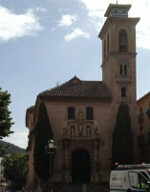 If the vehicle circulates in Granada area requires the vehicle´s and service provider documentation. Municipal authorization for these kind of vehicles allow them to circulate through the City area. Interested Driving Schools located in our district, will be required a municipal authorization to circulate with practice vehicles by the Junta de Andalucía. Technical vehicle specification card, copy of both sides. Municipal authorization requested to the removal vehicle, so it can park. Normally it is for the removal company, but ocasionally individuals do it. There is no specific documentation required, just to point out the removal place, vehicles involved number plates, day and hour of the moving. Weddings in Santos Justo y Pastor, El Sagrario and Carmen de los Mártires. City Council authorizes special parking places near the churchs and the Carmen, and if you need to get to El Sagrario it also authorizes Tablas St. access. Someone who celebrates their wedding there. There is no specific documentation required, just to point out place of the ceremony, number plate of the vehicles to authorize, day and hour. Max number of vehicles is 2 per wedding. Weddings in other restricted access areas. City Council authorizes special access to the churchs inside the restricted acess areas in Granada, like Santa Ana, San Pedro, San Nicolás, etc. or other places where is usual to celebrate weddings, like Palacio de los Cordova. There is no specific documentation required, just to point out place of the ceremony, number plate of the vehicles to authorize, day and hour. Max number of vehicles is 2 per wedding. It's advisable that you say the start point of spouses ways (hotel or house address), so we can give you the authorized way to access this places. Municipal authorization to get into traffic restricted zones due to works, removals, or any other circumstance from being resident (these ones are requested with a different procedure). Someone who needs to use some restricted street (camera controlled or bollards) due to works, removals, or any other circumstance from being resident (these ones are requested with a different procedure). 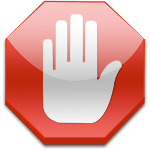 There is no specific documentation required, just to explain the reasons why you require pass.